The Kansas City Chiefs are interested in interviewing ESPN NFL analyst Louis Riddick for the team’s vacant general manager job after parting ways with John Dorsey. The Chiefs have an opening in their front office after parting ways with general manager John Dorsey earlier this week. It was a surprising move, a move that happened moments after the team agreed to an extension for head coach Andy Reid. Much of the speculation immediately afterward suggested this was a power move by Reid to get more of a say over the construction of the roster. 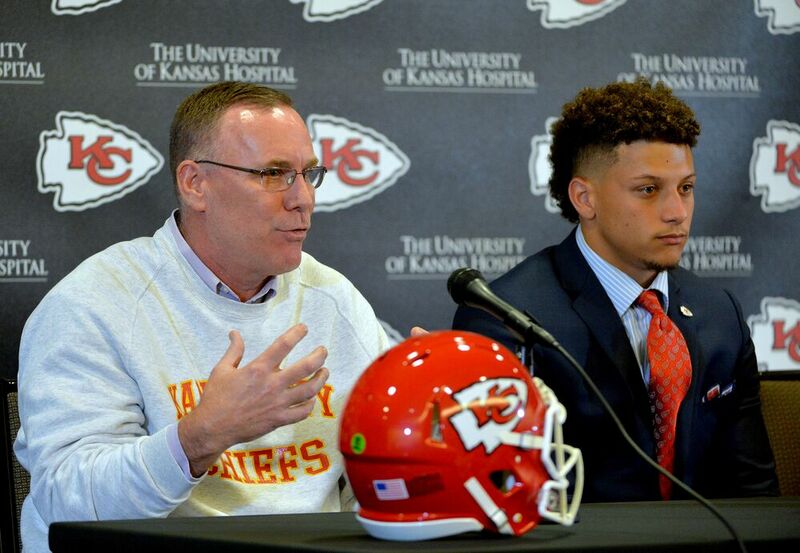 That may or may not be true, but the Chiefs are without one of the top talent evaluators in the NFL who drafted a number of Pro Bowl players during his time in Kansas City. With Dorsey out, the first known candidate the Chiefs are looking to fill the vacancy is ESPN NFL analyst Louis Riddick, according to NFL Media analyst Ian Rapoport. Riddick was previously a candidate for the GM job in San Francisco that ultimately went to John Lynch. Rapoport tweets the Chiefs hope to set up an interview in the coming week for Riddick. The #Chiefs have reached out to ESPN analyst Louis Riddick to set up an interview for next week for their now-vacant GM job, sources say. It remains to be seen what other candidates the Chiefs will interview for the vacant GM job but considering he’s the first name to be mentioned by the media in the wake of the Dorsey move, this is a good sign he’s one of their top options, at least external options. However, Riddick set the record straight on Twitter after the report from Rapoport made the rounds and refuted any contact with the Chiefs or an interview on the horizon. The Kansas City Chiefs have not contacted me and there is no interview set up for this week. Source? Me. Riddick’s work on ESPN has shown him to be one of the brightest minds covering the game today and his knowledge of the entire league should prove to be an asset when he interviews for the job. This would be Riddick’s first GM job, should he get the job.